The EPA has made its recommendations on biofuel blending of the nation’s gasoline and diesel supply. Naturally they recommend more: http://www.wsj.com/articles/epa-proposes-requiring-700-million-gallons-more-of-ethanol-in-gasoline-in-2017-1463597661 700 million gallons more in the total gasoline and diesel supply in the U.S. than last year. 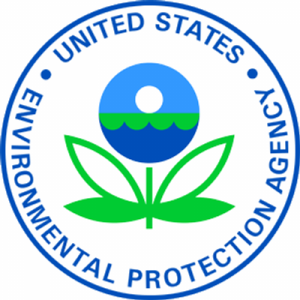 EPA’s recommendation would bring the total biodiesel mixed fuel amount to 18.8 billion gallons. That sounds like a lot. It is a lot. But it’s not as much as the 2007 Energy Independence and Security Act hoped for (the nine-year-old law called for 24 billion gallons by now). It’s a little funny that the EPA, tasked with mandating oil companies dilute mix their product with biofuels, is giving the industry a pass and is using a waiver built into the aging law to allow for lower limits than expected. So by recommending the increase the EPA drew fire from the oil side of things. However, the biofuels side isn’t too happy with EPA’s recommendation either. According to them the recommended amount of fuel mixed with biodiesel isn’t aggressive enough and falls below the mandated by law amount—which, to be fair, isn’t an untrue statement. The EPA is caught in a catch 22. Enforce an unpopular, illogical, and unpopular law regarding biofuels, which honestly isn’t all that eco-friendly, or ignore a law that only the biofuel industry really appreciates. My recommendation? How about we abolish the 2007 law and move forward with other things. Recently, a California lawsuit alleged that the i3 can lose power when switched to range extender mode. Guess this car thief wasn’t going very far.